The perfect way to protect your investment in pioneer cdj2000 cd decks. Designed and manufactured in the uk and precision engineered from premium quality polycarbonate, (the same plastic used in bullet-proof glass), this cover sits securely over your deck with no fixing, modification or adhesive required. The cover is easily mounted and removed in seconds and it will protect from dust, dirt and spillages, and will even shield the deck from scratches, impact or collision. Unlike ugly flightcases or tacky stickers, the decksaver maintains the attractive styling of the cdj2000 whilst offering a level of protection like no other. You'll see the decksaver used and endorsed by clubs, bars and studios nationwide. 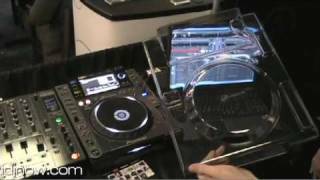 Considering purchasing the Decksaver CDJ2000 Protective Cover? Have questions? Ask people who've recently bought one. Do you own the Decksaver CDJ2000 Protective Cover? Why not write a review based on your experience with it. 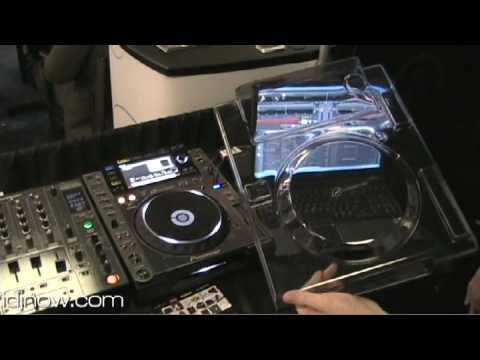 Seen a video for Decksaver CDJ2000 Protective Cover online or have you own video? Check out Decksaver CDJ2000 Protective Cover on DJkit.com!